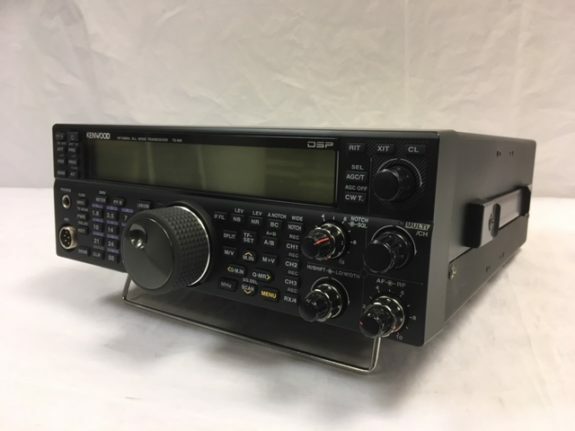 Kenwood TS-590S HF 50 Mhz All Mode 100 watt Transceiver Used. Antenna Socket 2 x SO-239 for HF/50MHz. 1 x RCA (Receive-only, up to 30MHz). CTCSS Encoder/Decoder Yes, 42 tone frequencies, plus tone-scan function. “Cross Tone” allows different RX/TX tones. “DRV” Low Level Drive Output Terminal Yes, RCA jack – 1 mW output covers 1.8 to 50 MHz bands plus the 135.80-137.70 kHz LF band. DSP Functions 32bit Floating-Point IF DSP. Lo-cut/Hi-cut, Shift/Width and IF Filter A/B. Internal VOX Yes, Adjustable 10 levels. Delay time adjustable 150 – 3000 ms. Anti-VOX function. Data VOX function on USB and Com ports. Menu System for individual set-up Yes, Dual menus, A & B, for instant switching between configurations. Plus “Quck Menu” system for individual customization. Programmable Function Keys Yes, 2 Front panel keys. In addition the MC-43 & MC-47 microphones’ UP/DWN buttons are programmable – the MC-47 also has 4 dedicated PF keys. RX Functions DSP AGC with Selectable Time Constant. RF Gain, AF Gain, Squelch Level. Sky Command 2 Yes, In conjunction with a Kenwood TM-D710E, TM-D700E or TH-D72E (“Transporter”) plus a TM-D710E, TM-D700E or TH-D72E (Commander”). TX Functions Speech Processor (Adjustable In/Out Levels. VOX (Adjustable Gain and Delay Time settings). Built-In Memory Keyer Yes, 4-Channel message memory, approx 50 characters per memory. Auto-repeat function. Interupt playback to insert text function. Dot-dash reverse function. 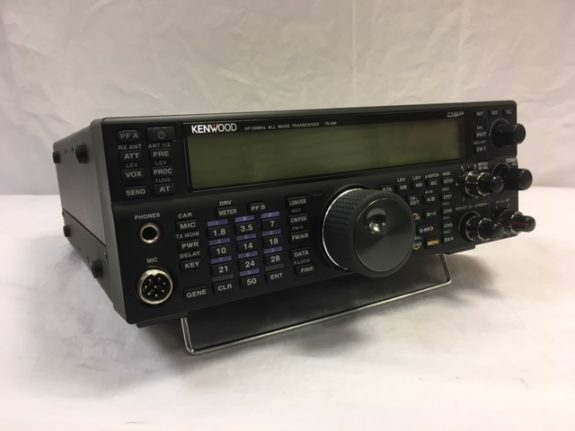 Kenwood TS-590S Amateur Radio Shops HAM Radio Dealer Supplier Retailer.